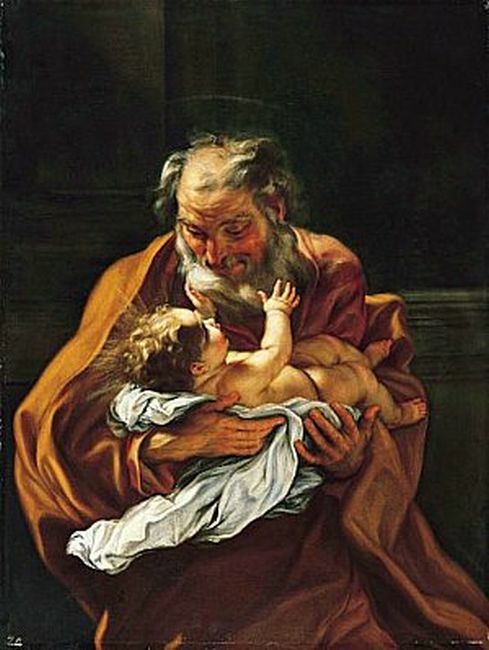 "Saint Joseph and the Infant Christ" provides a characteristic example of Baciccio's style of easel painting, which is vigorously Baroque in design and conception. The dynamic folds of drapery which envelop the figures are profoundly influenced by the sculptor Gian Lorenzo Bernini. Baciccio's native Genoese traditions are evident in the dark background, the use of highly saturated, warm colors and the broad, painterly handling.